The Rosie Project's lead character, Don Tillman, would be satisfied that I read on the Kindle platform of his project to find a wife. While reading I was informed of what percentage of the book had been completed and also was given the estimated time in the current chapter so I could adjust my optimal reading speed. Despite these and other efficiencies I found my reading broke into my sleep allocation such that I finished the book at 4.13am. I determined not to adjust my daytime schedule but to increase by 29.7 per cent my intake of caffeine. But seriously... it is perhaps a tribute to the steadiness of voice and rhythm of author Graeme Simsion and the sympathetic, human and lifelike characters that he has written, that I now find myself thinking and talking like Don, who is apparently non-the-wiser of being well and truly on the autism spectrum. A professor of genetics, he undertakes to find a wife through the mechanism of a fool-proof 16 page questionnaire and as a result is certain that Rosie could not possibly be a successful candidate, while at the same time, Rosie is not even aware she is one. Rather, she is trying to find her biological father with rather less scientific composure. They are both successful, but it's the journey as well as the destination that provides the genius for this novel. Oh, and going back to discovering my inner DonTillman, my enjoyment of the novel was diminished by a negligible 2.57 per cent because I guessed early on the outcome of the main suspense plot line. But perhaps that was intended by the writer to make readers feel smarter than they are? 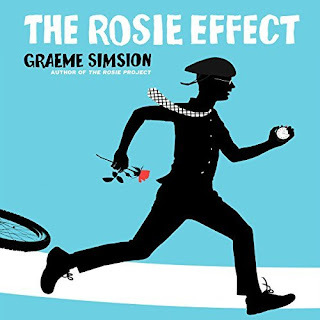 The Rosie Project has now been joined by Simsion's second novel, The Rosie Effect. 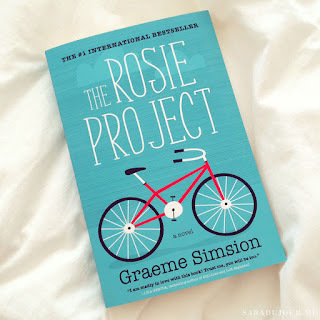 The Rosie Project by Graeme Simsion was published January 2013 by Simon and Schuster and retails from about $18.80.